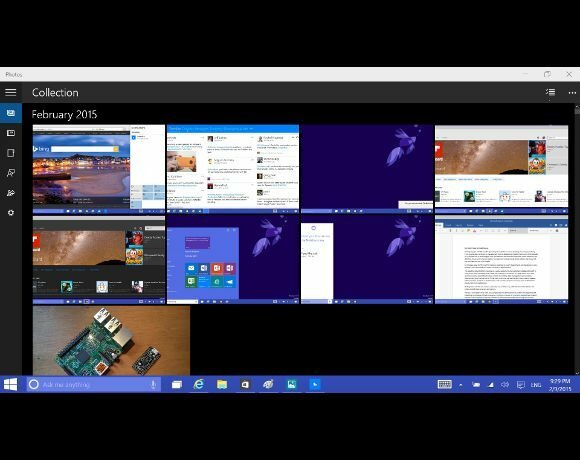 The January Windows event in Redmond showed off several features that aren’t in this build, including the "Project Spartan" web browser and new Universal app Mail and Calendar apps. However some of the new bundled apps have been released, including a new Photos that adds back some of the features in the old Live Photo Gallery, while working with cloud-hosted images in OneDrive. Photos is an interesting example of a Universal app, designed to run on Windows Phone and Windows – showcasing Microsoft’s new Windows application development strategy.